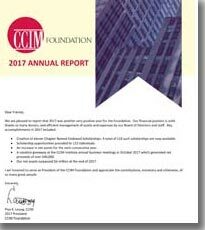 CCIM Foundation: Advancing knowledge and professionalism in the field of commercial investment real estate. 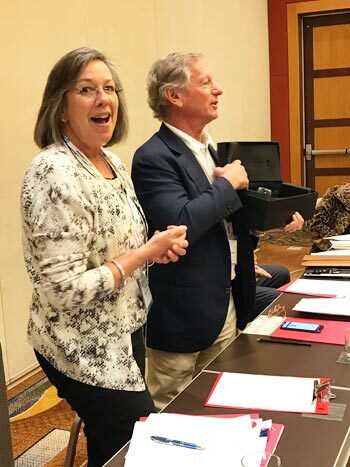 The board and staff of the CCIM Foundation extends its congratulations to Barbara M. Crane, CCIM, on her inauguration as 2019 CCIM Institute President. At the same time, we extend our thanks and appreciation for her strong leadership and vision as she concludes her year as our 2018 President. 2018 Build Your Own Vacation Giveaway Winner! We are excited to announce that Adrian Arriaga, CCIM (McAllen, Texas) is the winner of the 2018 Build Your Own Vacation Giveaway fundraiser! Adrian will receive a $5,000 voucher for a dream vacation! The board and staff of the CCIM Foundation congratulate Adrian and extend a heartfelt “thank you” to ALL who participated in this fundraiser. With the approval of these new scholarships, the CCIM Foundation now has 112 fully funded, chapter associated scholarships. Congratulations to the chapters and honorees! The Board of Directors and Staff of the CCIM Foundation were saddened to learn of the passing of 2013 CCIM President Wayne D’Amico, CCIM. 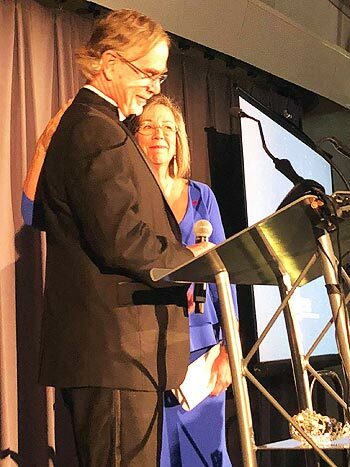 Wayne was a longtime supporter of the CCIM Foundation and, in 2016, was honored with a named endowed scholarship in his name through the foundation and the Connecticut CCIM Chapter. 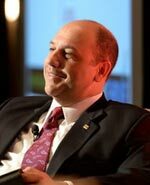 To honor Wayne’s memory, the CCIM Foundation has created the Wayne D’Amico CCIM Memorial Fund with a matching contribution from the CCIM Institute. Those wishing to donate to the Wayne D’Amico CCIM Memorial fund, may do so by clicking the “Donate Now” button below and selecting “In memory of Wayne D’Amico” where indicated. Donations may also be made by check to “CCIM Foundation” with “Wayne D’Amico” in the memo line and mailed to CCIM Foundation, 430 N. Michigan Ave., Suite 700, Chicago, IL 60611. One additional option to consider is a gift of stock. Please review the Wayne D’Amico gift of stock page for more information.